Sifnos lies in between Serifos, Kimolos and Antiparos and is 78 n. miles from Piraeus. It has an area of 75 sq. km and a shoreline of 70 km with a population of 2500 people. Your trip to Sifnos starts at Piraeus and takes between 2.5 hours if you use the High speed ferries (catamaran) or up to 5.5 hours if you use a normal ferry. 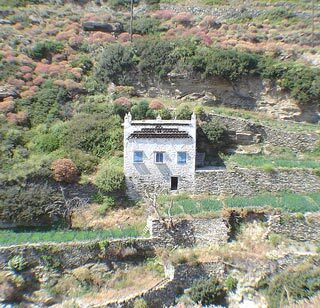 Sifnos has a lot of things to offer even in the most demanding visitor. The imposing landscapes, the picturesque settlements like Apollonia and Artemonas, the beautiful beaches, the medieval villages like Kastro and the old monasteries like Chrysopigi make Sifnos a very popular destination.